Home » Mulberry Cottages Property for with Room for 50 People! Mulberry Cottages property North Cadbury Court has 25 bedrooms and can host up to 50 guests. 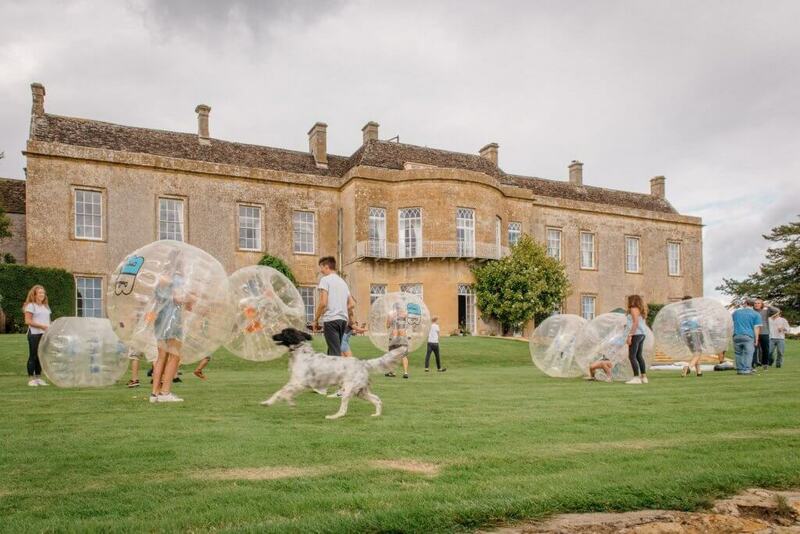 The pet friendly property is located in North Cadbury, Somerset and dates back over 700 years to medieval times. North Cadbury Court has a lot to offer including its own ballroom (for up to 150 guests), snooker room, 5 reception rooms, kids room, subterranean disco, casino room, large kitchen, 3 tennis courts, croquet lawn, swimming pool, hot tub, gym, sauna, golf tee off area from the roof of the property, bumper ball, pedalos on the lake, fishing, a helicopter landing and extensive gardens with a pistol range. The property sleeps 41 adults and 9 children in 25 bedrooms (including 2 family suites) with 19 bath and shower rooms. 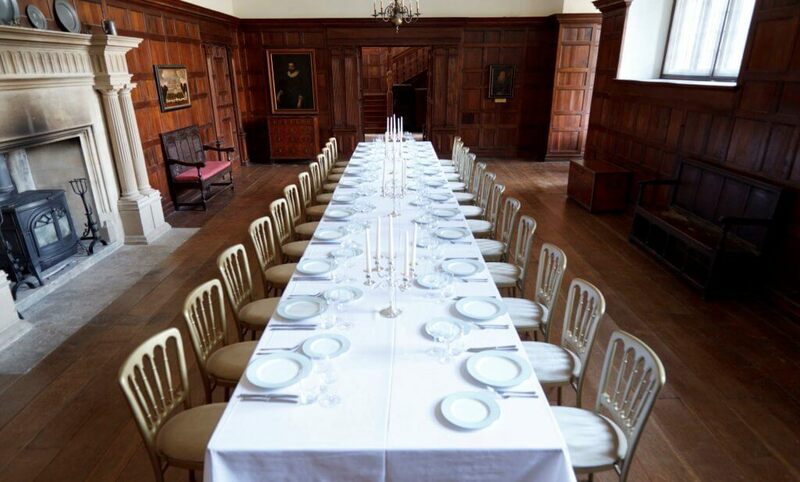 The historic oak-panelled dining room can seat up to 80 people. North Cadbury Court is priced from £14,000 for 3 nights and £18,000 for 7 nights. Guests can book at www.mulberrycottages.com or by calling 01227 464958.